Hello, I'm Gregor and I put this site together. At first, you'll find an overview of recommended capture cards, followed by a public poll and a general buying guide on capture card. Further down on this page, we do link to other well-written articles and reviews about capture cards. At last, you'll be able to weight in your own opinion in the comments section. 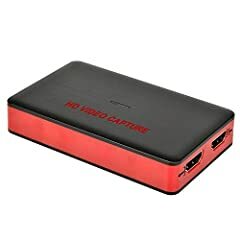 If you also want to vote on the best capture card, click here to view the poll. Ever wondered how Twitch broadcasters and Youtube gamers record and live-stream their gameplay for thousands to see? Answer- Capture cards. It’s a neat little smart device that helps users record gameplay from consoles like PlayStation and Xbox. 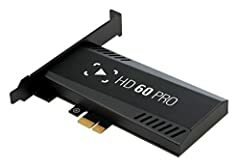 There are many types of capture cards available in the market today, and as years go by these devices are constantly getting more sophisticated with cutting-edge features designed for advanced gamers who love to share their gameplay. How does a capture card work? 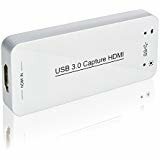 A capture card is an input data receiver that accepts audio and video signals, digitizes them and makes them available for other hardware and software like a display monitor. 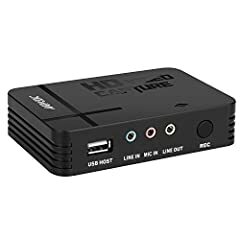 They have input and output ports for HDMI cables and USB which can be plugged into your television or computer. 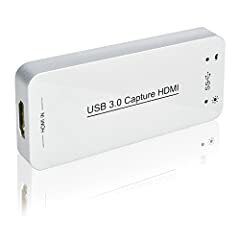 The capture card receives all the HDMI signals coming in and sends it through the USB connection to the computer. You can then use a software to render and stream the content being transferred through the capture card. - If you are working on two PCs, one for gaming and one for streaming, a capture card can be used to transmit content between your primary PC to the second PC. When using one computer to play and stream, some broadcasters may experience input lag especially if the system isn’t powerful enough. Since some games are very CPU-intensive, using a second computer to stream the content will help split up the workload. Thus, a capture card is the easiest way to transport the audio and video from your gaming computer to your streaming PC. - There are some capture cards specifically designed for Mac users. Although a bit more expensive than capture cards for PCs, these offer a great resolution output for streaming. Some capture cards are compatible with both Windows and Mac computers. - Streaming and capturing content directly on Xbox one doesn’t give you the best quality footage. 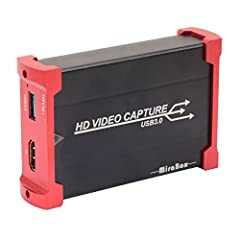 Having a capture card as the go-to-guy between the console and the streaming PC is a great way to enable your system to handle longer periods of footage without compromising quality, or without taking too much storage space on your console. - . Of course, like Xbox, you can record on using its internal capture feature. 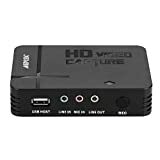 But if you want to step up your streaming quality, using a capture card for your PS will vest you with advance streaming, recording and editing features for some serious gameplay viewing pleasure. Some capture cards even allow 4k resolution videos. These are more expensive, but the cheaper ones will still give you 1080p recordings which are also fantastic. Who needs a capture card? As you know, many gaming consoles come with in-built capture feature. Plus, with PCs, there are many capture software that lets you play, record and stream on the same PC. So do you even need a capture card? If you want to record high-resolution data, then yes you need one. The gaming community is filled with high performing streamers producing stunning content. 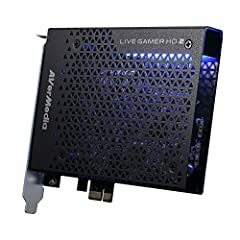 So if you want to stand out and leave a strong mark, then you do need the high-quality gaming streams that only a capture card will provide. Also, with a capture card, you will find that your content output is lag free and you will also be able to customize, save and edit your streams with overlays and alerts. 1.External or internal- Decide on what type of capture card you are looking for. Are you looking or an internal or external capture card? Internal capture cards go into your motherboard, whereas external capture cards are portable and get plugged into a USB port. Once you have that decided, look for these other factors. 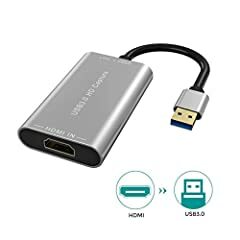 2.Cost- Capture cards can be expensive, but if you are only going to use it sporadically, then a more affordably priced device will suit your needs just as well. 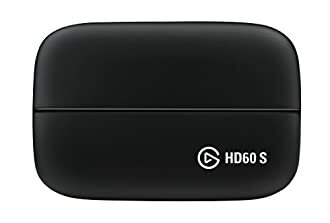 On the other hand, if you are a professional putting out frequent gameplay streams and want to have a brand quality to your content, then invest in a higher priced capture card. 3.Resolution- If you are looking to record powerful games, then look for capture cards that support Full HD (1080p) or 4K resolution. Make sure the frame rate is high, too (60 frames per second is the best FPS to record high-quality videos). 4.Console- Probably one of the most important factors, you need to make sure that the capture card is compatible with your device. Most popular consoles like PS4, Xbox 360 and Wii U do accept HDMI transfers. If you are using Mac for gaming, make sure that your capture card supports that. More than just the device, you also have to make sure that it’s compatible with the memory, storage space, and processing speed of the system. 5.Software- Check if the capture card comes with its own software. If not, then ensure that the capture card you do use supports the software of your choice, for example, OBS or Xsplit. 6. Ease of Use- A lot of people want to stream their gameplay and most of them do not have the technical knowledge fully understand how to operate one for the best streaming quality. 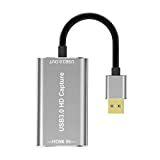 If you are a beginner, make sure that the capture card you buy doesn’t have a steep learning curve but is easy to use. 1. Set up both your gaming device (PC or console) and streaming device properly. This means getting all the necessary cables and tweaking the software settings to your needs. 2. Keep your streaming software updated. Companies are constantly fixing bugs and coming out with new features and improving existing ones to enhance performance. 3. 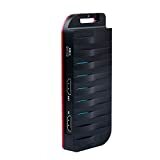 Ensure you have a reliable and fast internet connection, especially if you are playing and streaming a fast-paced, resource intensive game. The ideal Internet speed for a smooth streaming is 5mbps. The rule of thumb is the higher the resolution, the faster the Internet you are going to need. 4: Make sure that your streaming device is reliable too. When data gets transmitted from your gaming device to your PC, you need to make sure that the receiving system is reliable enough to elicit a smooth streaming or editing process. An Intel Core i5 4th generation or higher as your processor will give you the best output, and make sure your system has enough RAM too. New: Our editorial list of additional articles. We decided to gather informartion all around the internet and present you a list of helpful, external links to interesting reads about the best capture cards and their reviews and guides. You're not convinced by the previous writings about capture cards? Of course you can just choose by visual impression, that's why we present you all our chosen products at a single glance. A click on any image is enough to open an external link to the best offer we could find. Finally, we want to present you our rating criteria for our capture card comparison, so you can better understand and comprehend our recommendations and the rating process itself. Furthermore, we still ask you to keep your eyes open for short term deals in order to make some great bargains with capture card in 2019. Published by G. Krambs on StrawPoll.com (last update on 2019-04-23 08:17:48).